Six Sigma is a business management strategy that was initially developed by Motorola in the 1980s and now is used in many Fortune 500 companies. It is used primarily to identify and rectify errors and defect in a manufacturing or business process. Six Sigma uses a number of quality methods and tools that are used by professionals within the organization, who have been trained on Six Sigma techniques. 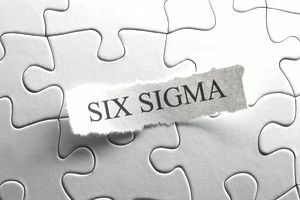 Often the terms used in Six Sigma are sometimes misleading, so listed below are some of the more frequently used with an explanation of the term. This role can include the CEO or other top management. They are responsible for setting up a vision for a Six Sigma implementation. The champion can be defined as a person in a company’s organization who 'champions' a Six Sigma project. It can be used more specifically to refer to a senior manager who champions the project, ensures that it is properly resourced and uses their authority to overcome organizational barriers. The Master Black Belt is an expert with extensive experience and technical expertise in all aspects of Six Sigma. The Master Black Belt is responsible for selecting, training and mentoring black belts within an organization. The Master Black Belt will often be involved in the selection of and approach to projects. They will also be responsible for ensuring that the standards of the Six Sigma program are maintained. A Black Belt is a full-time professional who acts as a team leader responsible for the operation and outcomes of Six Sigma projects. To become a Black Belt, it is required that the person demonstrates mastery of Six Sigma tools, through an examination and experience. Black Belt training course can involve four to five weeks of classroom training in methods, statistical tools, and team skills, in addition to a completed project. The American Society for Quality (ASQ) offers a Certified Six Sigma Black Belt qualification. A Green Belt is a member of an organization who has been trained on in Six Sigma methodology and participates in projects as part of their full-time job. They may either work as part of a team, led by a Black Belt, or lead smaller projects, with a Black Belt acting as a mentor. The project sponsor is a senior manager who can signs off on the resources, defines the objectives and evaluate the outcomes. The project sponsor is sometimes known as the project champion, although the champion can be used to describe anybody who champions a Six Sigma project. A Change Agent is a person who leads change within the organization by championing the change and managing and planning its implementation. The Change Agent position can be official or voluntary. The important high-level measure that a Six Sigma project seeks to improve is known as the Big Y. Big Y should be linked to the critical customer requirements. The Big Y is often used to generate little y operational objectives that must be improved to achieve Big Y improvements. DFSS is used to design a new process, product or service, or to redesign an existing process, product or service from scratch. This contrasts with the normal Six Sigma approach that is used to improve existing processes, products or services. DFSS uses the DMADV sequence rather than the DMAIC sequence. DMADV refers to the sequence of steps used in Design For Six Sigma (DFSS), instead of the DMAIC sequence which is used in regular Six Sigma. The DMADV sequence can also be referred to as DMADOV where the additional O stands for Optimize. Define - Define the project objectives, similar to DMAIC. Measure - Measure the expectations of all the stakeholders, particularly the customers. Also, use benchmarking and competitor analysis. The term DMAIC stands for the five main steps in the Six Sigma process; Define, Measure, Analyze, Improve, and Control.